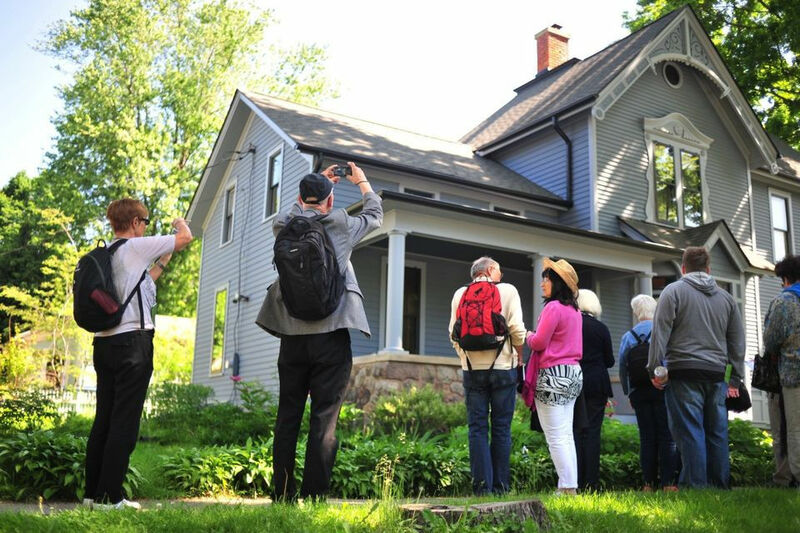 ANN ARBOR, MI – The historic charm of Ann Arbor’s Old West Side is being showcased in the 45th annual homes tour on Sunday, Sept. 23. The tour runs from noon to 5 p.m., and people can visit the six houses and one business in this year’s event in any order. St. Paul Lutheran Church, 420 W. Liberty St. serves as tour headquarters, offering refreshments from Washtenaw Dairy and restrooms from 11:45 a.m. to 4:30 p.m.
Tickets are on sale now for $10 at Nicola’s Books, Argus Farm Stop, The Jefferson Market, Washtenaw Dairy and Downtown Home and Garden. Advance tickets can be purchased until 3 p.m. Saturday. Tickets are $12 the day of the tour at St. Paul Lutheran Church. Senior citizens, age 65 and older, pay $8. Children younger than 12 – including infants carried by their parents – are not invited on the home tour. Backpacks and photography are prohibited, and attendees should remove their shoes at each home. “It showcases creative and respectful updating of older homes, newer homes designed to be compatible with historic surroundings, effective use of small spaces and adaptive reuse of commercial buildings,” states a press release on the 2018 Old West Side Homes Tour. Here’s a preview of the seven properties on this year’s tour.